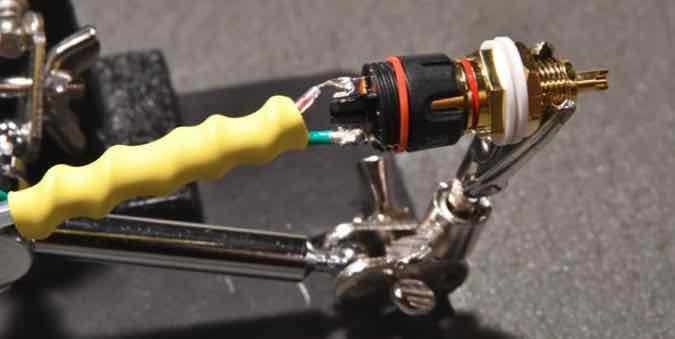 DIY Interconnect Cables - The "Helix Mark VII"
if two parallel conductors are in close proximity for an extended distance, and current is passed down one of those conductors, then noise will be induced into the other conductor. e.g. in a 120 volt mains cable I measured noise in an adjacent conductor of 42 volts! In the case of “conventional” interconnect cable architectures, the signal conductor and the neutral conductor are side by side in extremely close proximity for the length of the cable, therefore in my mind, I consider it reasonable to assume that some noise, however small, will be induced from the signal conductor into the neutral conductor. Why would this matter? Isn’t the neutral is effectively connected to the “ground” ? Well, the neutral conductor is actually connected to the neutral side of the attached components’ circuitry. On it’s way to “ground” it permeates through the neutral side of the components circuit, which has a negative impact on the amplified signal resulting in a distorted output. The helical design concept eliminates the parallel conductors and minimizes the induced noise and proximity effect to imperceivable levels, improving clarity and dynamic performance of the interconnect. But Shouldn’t The Two Conductors Be The Same Length? If you look at the “roles” the two conductors play from the perspective of an attached components’ circuit diagram it becomes clear that cable length is immaterial and they can be made from different materials and gauges. The parts list is reasonably priced between $180 - $250 CDN for a 3ft ( or 1 meter) pair, depending on the RCA’s selected - and all other parts can be purchased from many parts providers on the web. Considering their exceptional sound quality I believe this price range to be excellent value. You can upgrade or downgrade these parts if you wish, but the parts listed will provide exceptional sound quality. I have listed the Duelund wire as the signal conductor, but I have found 20 gauge Mundorf Silver/gold solid wire without insulation provides even more details and a stunning image. 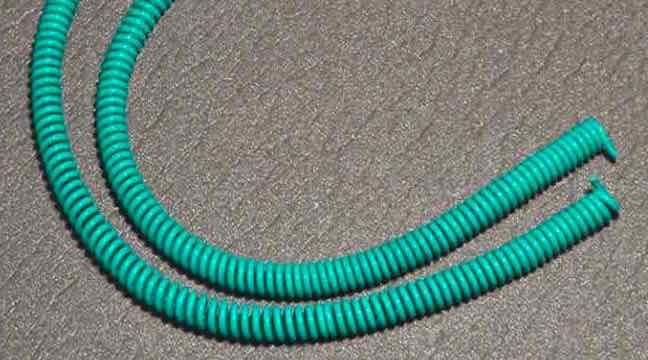 However, the Mundorf wire is significantly more expensive than the Duelund wire. I first wind the conductor around a 5mm metal rod. To assist with this I insert the rod into a variable speed hand drill and feed the conductor along its length. Once wound, the helix can be removed from the dowel. Insert the teflon tube into the helix. To finish off, you can add some expandable nylon sleeve - it does not impact the performance of the Interconnect. 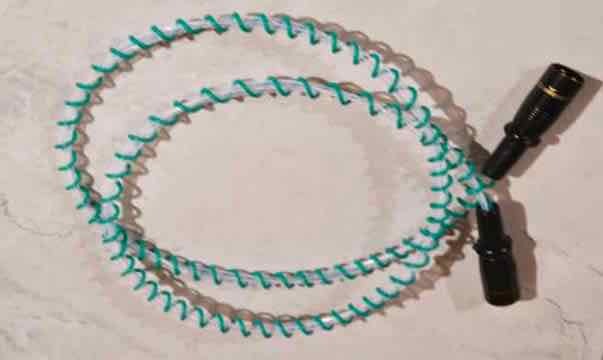 Although a solid silver signal conductor was initially selected, I have since found that 24 gauge silver plated Mil-Spec wire offers a fuller sound without sacrificing any details and reduced the cost of the cable significantly. I also use it for the neutral. But for the best performance to date, I now use Duelund 20 gauge tin plated stranded copper wire with oil/cotton insulation. but really opens up the image and presets a fuller image without degrading the dynamics. and continue to use the Mil-spec wire for the neutral. Can you use other brands of RCA? I recommend KLE Innovations Harmony RCA’s because of their stellar performance. Personally, I use the Absolute Harmony RCA because it is their best performer. 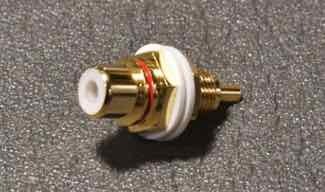 The properties of the KLEI Harmony RCA’s are very different from conventional RCA’s, such that they can be used on single ended SPDIF cables without experiencing the issues associated with conventional RCA’s not rated at the same impedance as the cable because their impedance exceeds 110 ohms. However, the KLEI Harmony RCA’S can be used on most digital cables regardless of the cables rated impedance value. I also believe their higher impedance is responsible for their stellar analogue performance. 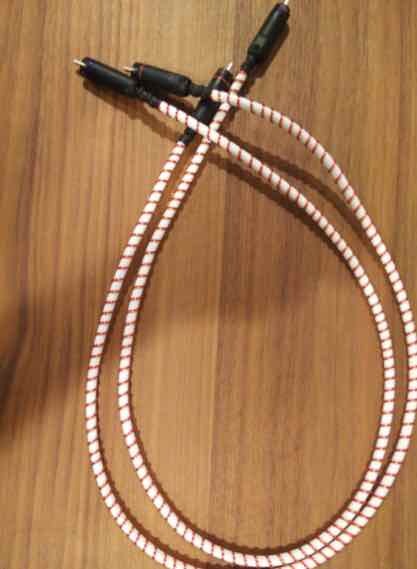 Can this cable be used for SPDIF purposes? Absolutely! - it is an extremely adept SPDIF cable! To date, it is the best SPDIF cable I have used. What do Helix Mark VII sound like? The “Helix Mark VII” is a very high performance interconnect cable with extremely high resolution capabilities. They deliver a completely “uncoloured presentation” with ultra fast dynamic performance, exceptional clarity, expansive imaging and a very deep and exceptionally well controlled bass performance. They excel in the delivery of one of the most realistic presentations of live recordings I have observed. The delicate nuances pertaining to the acoustic reverberations of instruments and voice within a live venue are faithfully reproduced in the most minute detail, with a precision placement of musicians and their instruments within their own “virtual space”. My system components are quite modest by today’s standards. However my cables are all excellent performers and they work in harmony with the components to achieve an excellent overall “system performance”. Will the “Helix Mark VII” perform well on all systems? Based on feedback from people who have made them for some quite varied systems, I have no reason to believe their performance will be anything less than stellar. The Balanced XLR IC design is “basically” the same as single ended design with simple modification. Add the plugs and VOILA! 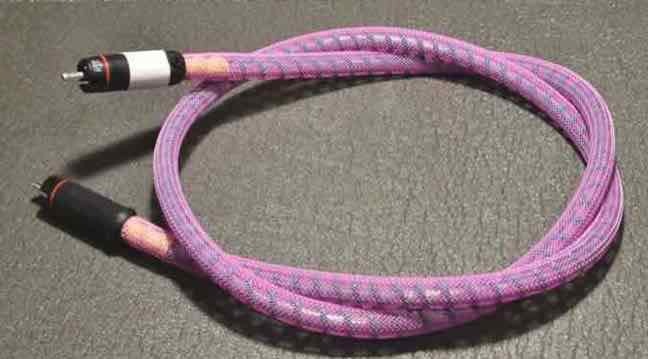 I started making my own cables many years ago, but many of those utilized bulk cable from companies like Van den Hul and DH Labs. I then investigated some of the more recent cable geometries such as tight twisted pairs, braiding and helix geometries. My primary goal along the way was to keep the cost of materials to a minimum. When I first tried the early CAT6 version of the Helix design it was quite clear that it was going to be a very adept performer. This observation supported my belief that the Helix architecture (or geometry) was an extremely effective approach to achieving excellent cable performance. The early versions utilizing CAT6 as the neutral conductor were very good - just not brilliant! With the “Helix Mark VII” version, I decided to incorporate higher quality silver plated materials in the neutral conductor in the hope that I could come even closer to the performance levels of some of todays popular high performance cables for a fraction of the cost. the “Helix Mark VII” was born! 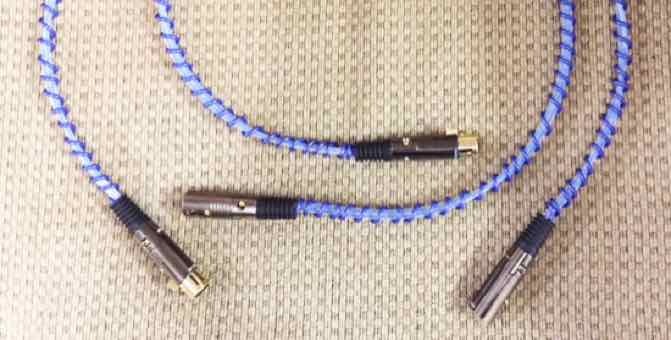 a cable that actually competes with some of the very best cables in the audio world! It is imperative that these cables are allowed adequate time to settle and burn-in, which is typically >300 hours. 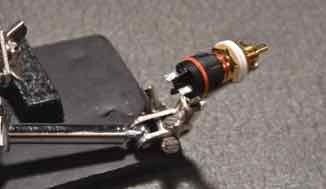 My hope is that this design will be embraced and enhanced by the DIY Community and encourage them to experiment with different conductor materials to tailor the sound to their own liking. Since the original posting back in 2015, I have exchanged email with several fellow Diyer’s that have contributed to the Helix design. I’m still listening to them, but initial findings on the helix ICs are incredibly positive. More of the helix magic: less noise, greater clarity, better separation of sound sources.